Do you know that forgetting one little cable you run the risk of having to break up your walls and listen to your family complaining that you weren't foresighted and hadn't bought our list? 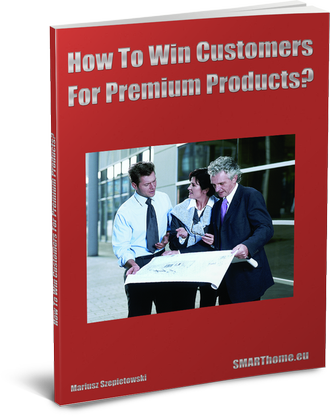 It contains over 200 tips for investors, installation specialists and designers of electrical installations. 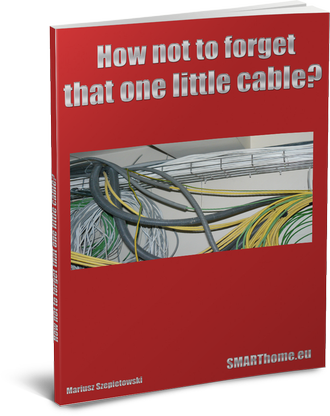 Persons building a house or flat, specialists and designers often wonder, which cables are required for which applications in a house or apartment. Certain things are obvious (lighting), but some of them, although useful, are sometimes forgotten about (i. e. protection of the computer network against lightning; phone charger outlet behind the hall cupboard). Browsing hundreds of pages of superficial information is time consuming. However, this can be avoided with this guide. 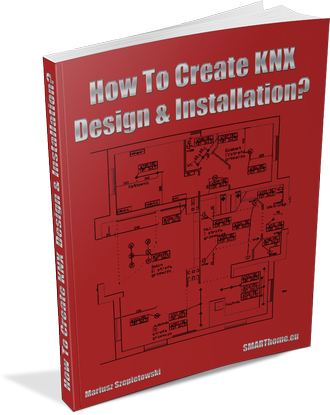 45 pages of solid tips for installation specialists and designers of KNX/EIB systems, but also for investors who would like themselves (or with the help of a befriended specialist) to create a design and installation for their own intelligent home. Browsing hundreds of pages of general information and tens of websites is time-consuming and ineffective. Do away with all this by purchasing our guide. 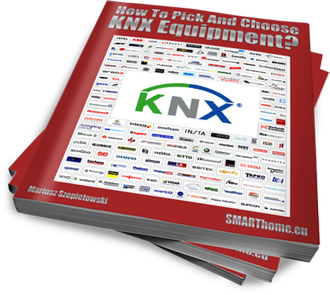 There are already over 5000 devices for the KNX system on the market, offered by 165 manufacturers. How to handle such a mass? How to select the right device to suit user requirements? 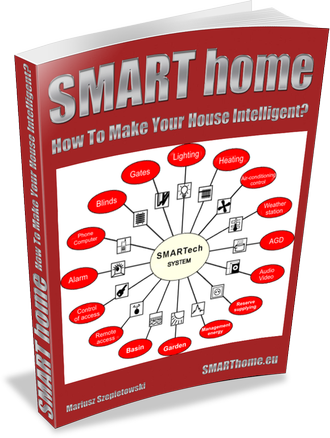 From among over 5000 devices, this guide contains on over one hundred pages descriptions and/or photos of over 250 of the most important or most interesting devices and their uses, including a handful of practical tips. 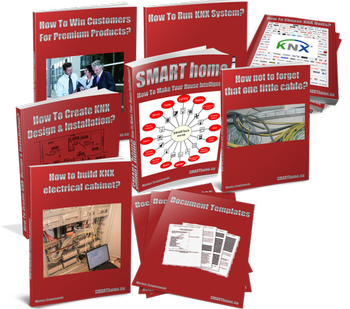 26 pages of solid information for installation specialists and constructors of KNX/EIB switch cabinets. It will guide you step by step through the process of assembly and equipping of large electric switch cabinets. It also gives tips on what to remember and what should be considered particularly carefully. 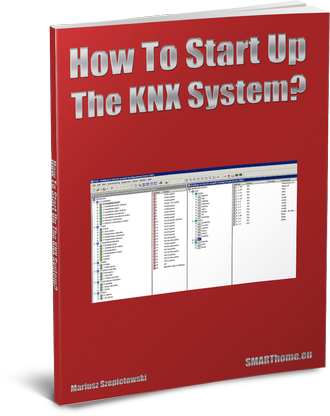 A guide on programming KNX devices in the ETS application, meaning - a guide to starting up the system. This publication will provide you with the knowledge you require. 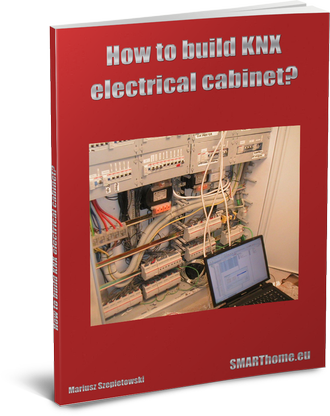 It shall replace standard programming training, and having read it, you will be able to begin programming and starting up a KNX system i. e. for a small house all by yourself. Solid information for everyone offering Premium-class products to their customers - expensive, luxury components for the home that are not required by most people, who still dream of them, and yet are available for the few who consider them absolutely necessary :) the publication focuses on practical hints that can be used straight away. 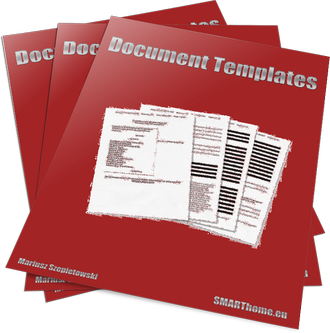 We provide templates of documents, designed by experts from SMARTech in consultation with lawyers. Apart from a contract draft for the execution of an installation, available are, among others, commissioning protocols, system verification documents, even calls for payment. All guidebooks in one set you can buy with 30% discount.